Redensifying Youth Cream fights against deep wrinkles and skin slackening while reducing the appearance of dark spots and loss of vitality. 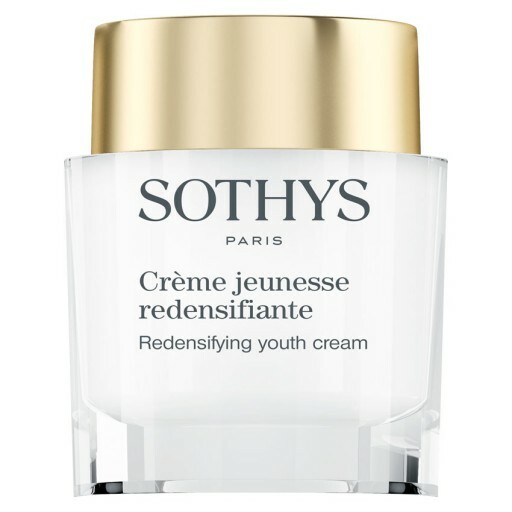 Sothys Redensifying Youth Cream restores a radiant complexion that is full of vitality while reducing the visible signs of aging. Revitalized, the skin appears redensified. It targets loss of vitality and volume, deep wrinkles, rough skin. Paraben-free. ßP3. Tri-complex Saffron-Sophora-Peptides* - Combination of Saffron and Sophora with new generation peptides. It can help the skin to fight against oxidative stress and et fight the signs of chronological ageing. *Contained separately in the Intensive treatment. Excluding Youth serums. Kombucha extract - To visibly reduce wrinkles and plump the skin. Urnoic acid - To extend visibly the youth of the skin. Bambara pea extract - To extend visibly the youth of the skin. Alisma peptides - To enhance the function barrier of the skin. Aqua (Water)​,​ Glycerin​,​ Butylene Glycol​,​ Myristyl myristate​,​ Tribehenin PEG-20 Esters,​ Butyrospermum Parkii (Shea) Butter​,​ Dimethicone​,​ Isononyl isononanoate​,​ Saccharomyces/Xylinum/Black Tea Ferment,​ Ethylhexyl Palmitate​,​ Glycol Palmitate​,​ Hexyl Laurate​,​ Hydroxyethyl Urea​,​ Macadamia Integrifolia Seed Oil​,​ Ammounium Acryloyldimethyltaurate/VP Copolymer,​ Beheneth-25,​ Glyceryl Stearate​,​ Polymethylsilsesquioxane​,​ Olea Europaea (Olive) Oil Unsaponifiables​,​ Propanediol​,​ Glycine Soja (Soybean) Oil Unsaponifiables,​ Triticum Vulgare (Wheat) Germ Oil Unsaponifiables​,​ Hydroxyethylcellulose​,​ Parfum (Fragrance)​,​ Caprylyl Glycol​,​ Disodium EDTA​,​ Citric Acid​,​ Methyl Methacrylate Crosspolymer​,​ Tocopheryl Acetate​,​ Maltodextrin​,​ Hydrolyzed Algin,​ Pollen Extract,​ Caprylhydroxamic Acid​,​ Sodium Hydroxide​,​ Alisma Orientale Extract,​ Phenoxyethanol​,​ Carbomer​,​ Sodium Lactate​,​ Sodium Citrate​,​ Voandzeia Subterranean Seed Extract,​ Polisorbate 20,​ Crocus Sativus Flower Extract,​ Potassium Sorbate​,​ Pentylene Glycol​,​ Ethylhexylglycerin​,​ Sodium Benzoate​,​ Sophora Japonica Flower Extract,​ Tocopherol​,​ Sobric Acid,​ CI 19140 (Yellow 5)​,​ Palmitoyl Tripeptide-1​,​ CI 14700 (Red 4),​ Palmitoyl Tetrapeptide-7​,​ Biotin​. Love this product have been using Sothys for a couple of years now and have been working my through the range as they change and improve. This is just as good if not better. 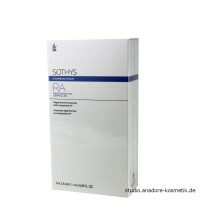 I have been using Sothy's products for many many years now as they were advised by my beautician as the best. 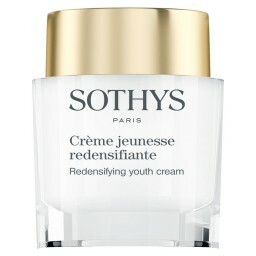 As I have gotten older I have moved through the ranges & the new Sothys Redensifying Youth Cream is fabulous it so rich & creamy but quite light on & it works all day. I completely recommend it.